Founding Fathers « John Bartram Lives! It was an historic gathering. The cause was to celebrate a major anniversary of Mr. Thomas Jefferson. But the truth of the group’s selection was a celebration of food stuffs from the 18th Century. 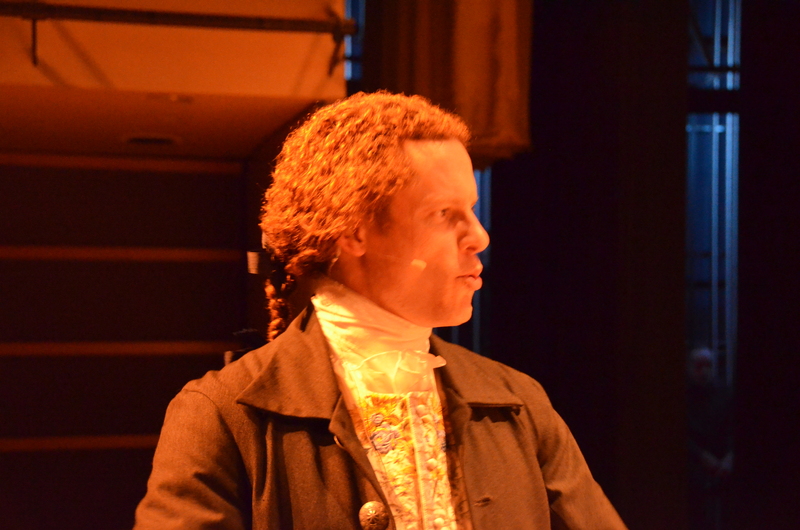 Thomas Jefferson was in the spotlight. It was, after all, his birthday we were there to celebrate! 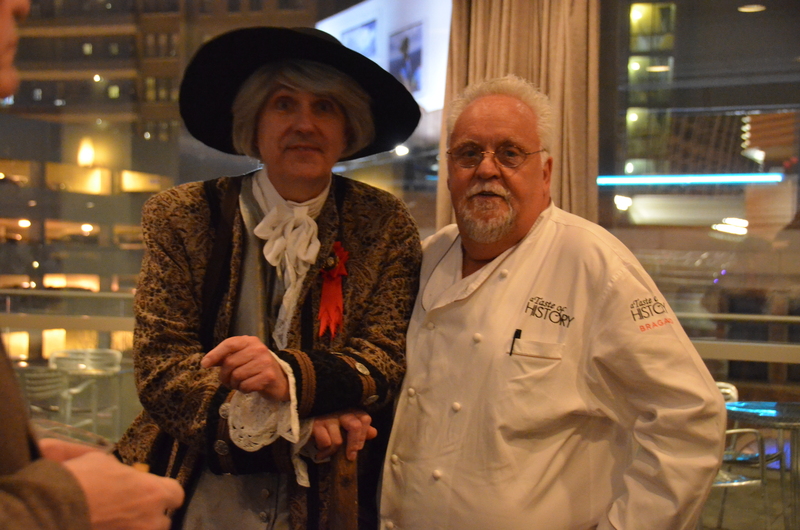 At the post-performance reception, Chef Walter Staib had a moment to share his confidence with John Bartram. Chef Walter Staib is the host of the contemporary version of the City Tavern. He has brought notoriety to the unique foods, preparations, and services of hospitality from the days of my major travels. 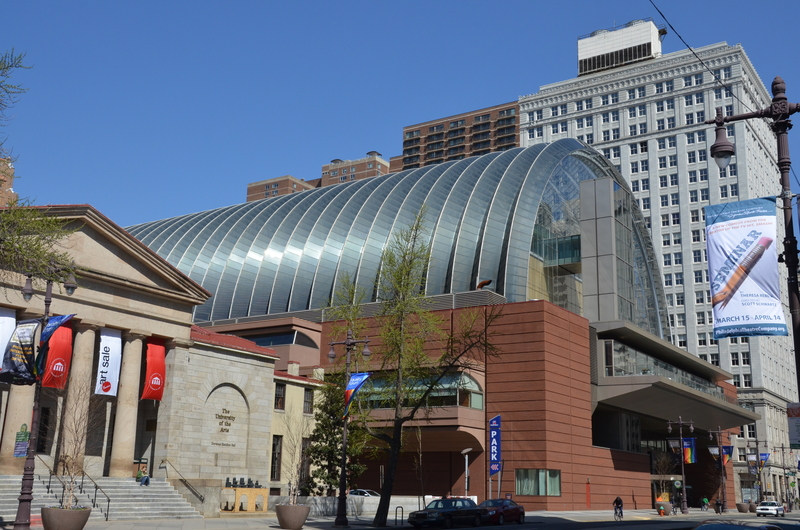 The Kimmel Center is only blocks away from The City Tavern where all of this history would have occurred. 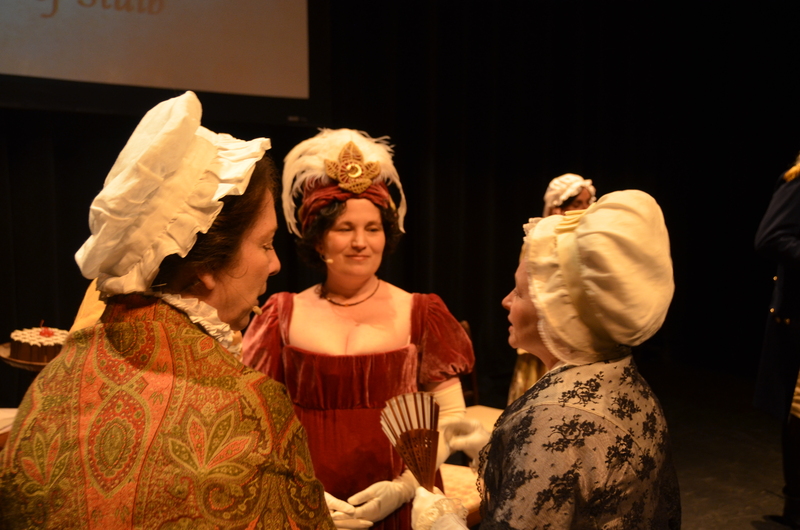 Mr. George Washington was accompanied by his most gracious wife, Martha. The two were certainly the centerpiece of the evening’s story line. They formed the stolid center around which the ceremonial gavotte was danced. 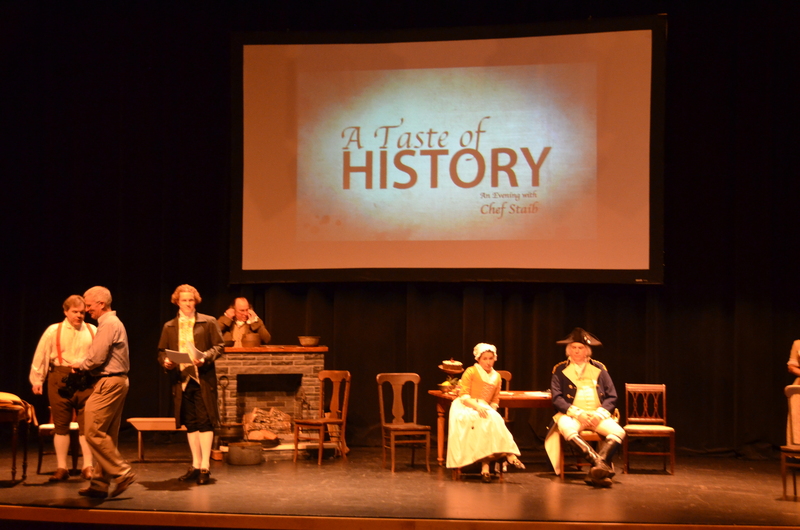 The rehearsal for the opening night was centered on General Washington. For him, there was no separate character or change of costume. Perfection. 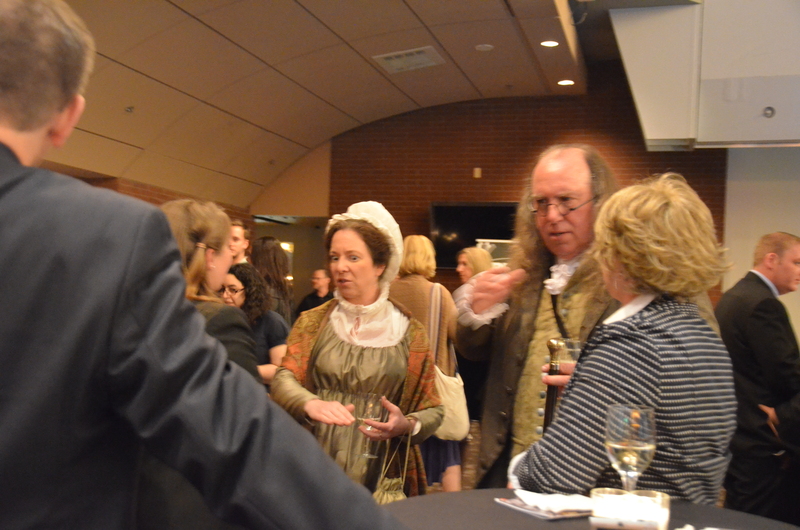 Mr. John Adams and the educated Abigail were the highly erudite personalities in the room. I felt humbled by the thoughts articulated in their dialogue. While their loving considerations were well noted, John’s presence was overshadowed by Abigail, to whom I must give the present of “Outstanding Female Contributor” to the evening’s thoughts. The First Ladies enjoyed moments of conversation. 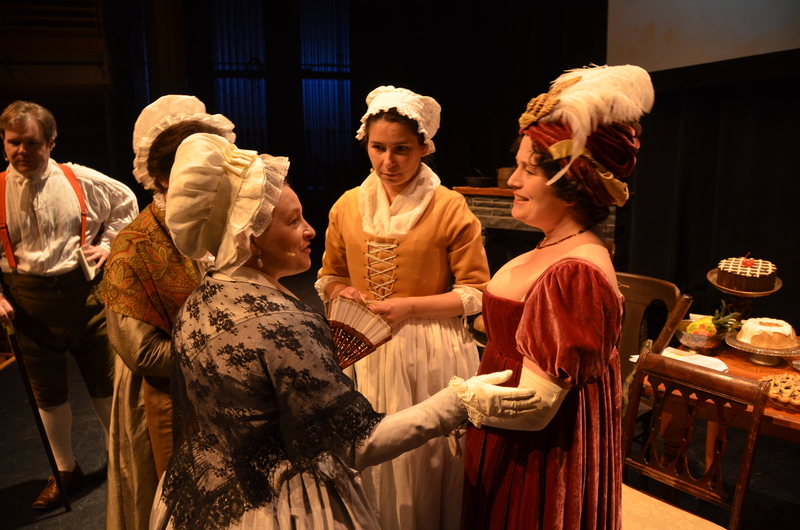 She was joined in feminine felicitude by Dolley Madison and Betsy Ross. They joined in civil conversation during the evening by trading on popular stories of their meetings and musings. They held the stage brilliantly. The First Ladies treated Betsy Ross like an equal. This is an egalitarian democracy! Thomas Jefferson reviewed his history of the creation and publication of his grand Declaration. The true politics of the situation were overlooked in the gentlemanly good humor of the night. It would have been inappropriate to discuss those disagreements from the other side of the Atlantic. 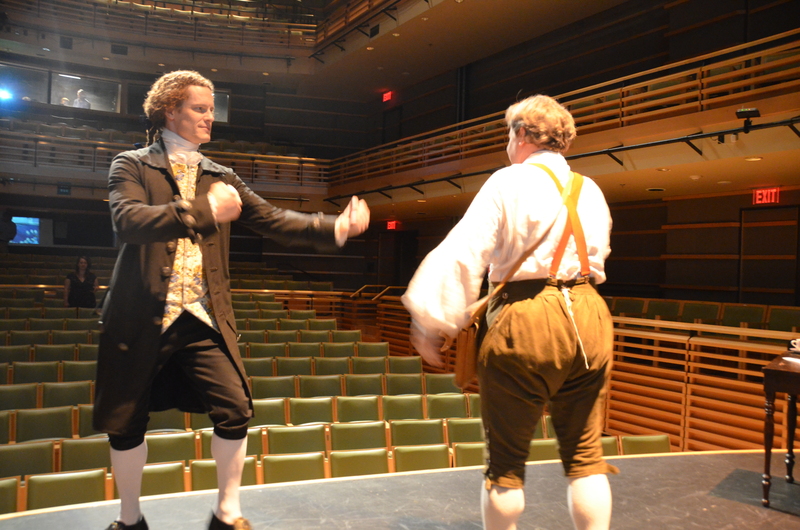 Always contentious, John Adams and Thomas Jefferson played at gentlemanly combat. 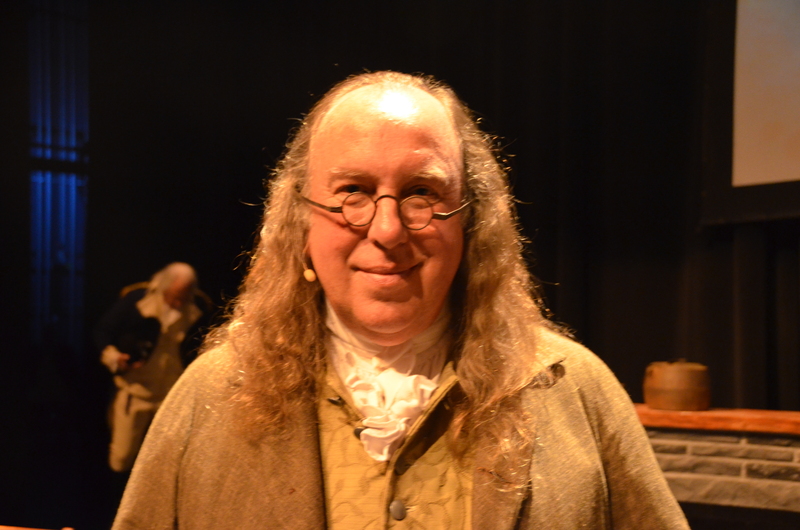 For me, however, the supreme appearance of the evening was made by my close friend and most influential mentor, Benjamin Franklin. After all these years, it was so good to see that time doesn’t dim the glow of old friendships and the fireworks from halcyon days. Ben Franklin. Simply said. Well done! He was up to his old standards of political gamesmanship, delivery of humorous bon mots, and attitude of all-powerful elder statesman. Truly, he has aged like old and extra fine brandy. 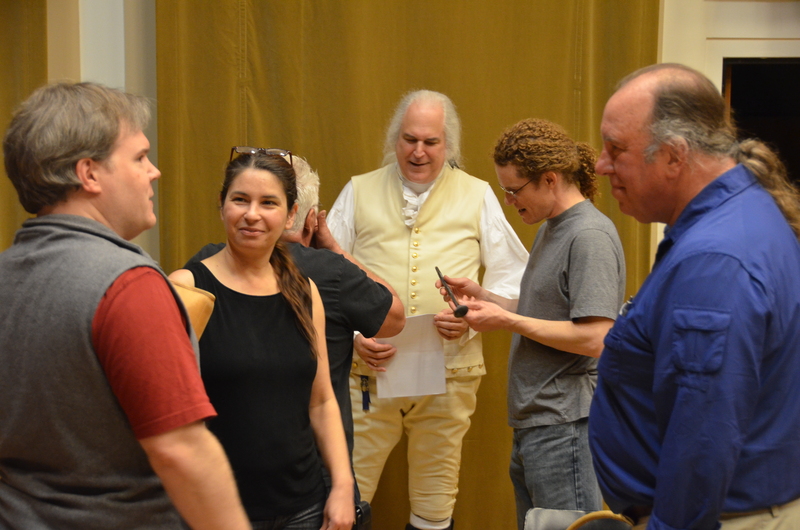 Ben Franklin–as always!–was the life of the post-production party. 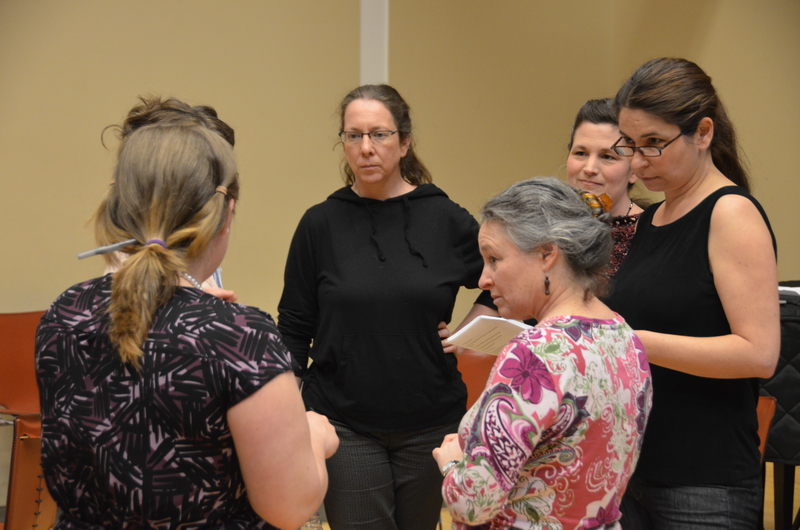 The women rehearse. How different we all are sans costumes. The rocket’s red glare could have been the reflection from the many theatrical lighting devices clustered around this revolutionary pantheon. Amazing! 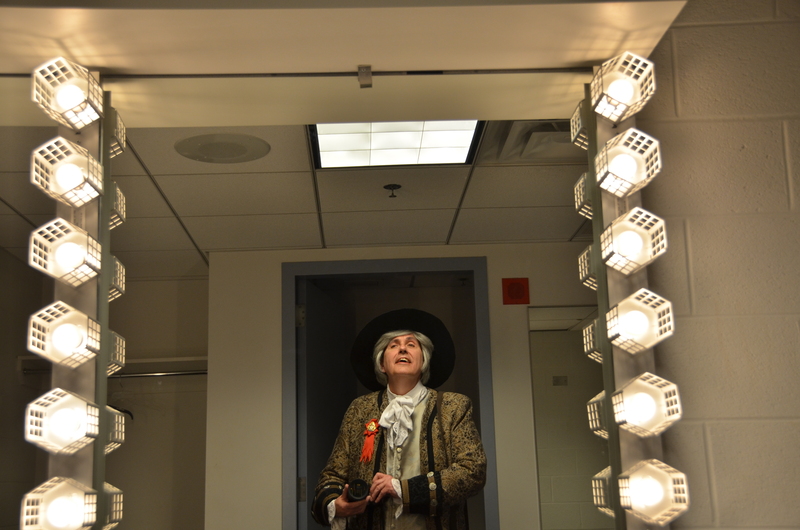 John Bartram is ready for the spotlight!